A slick and work-friendly machine on a budget - but is it right for you? The Asus Zenbook UX410UA (GV158T) is a quality everyday 14” Notebook from one of the most reliable laptop makers today – and it’s one of our best budget laptops under £700. You can expect to pay a lot more for laptops of such a high standard, but we’ve found one that’s a steal at around £600 – with specs like a stunning battery life and super-speedy processor that are a must for busy small business owners and freelancers. The screen is surprisingly good quality and eye-friendly for this price tag and as a slim and fairly light 14-inch laptop, this Asus Zenbook is even ideal if you ever work on the go. Of course, you can pay a couple hundred more to get 8GB of RAM, but unless you’re a professional graphic designer, it isn’t necessary – this is a fast laptop for most office admin. 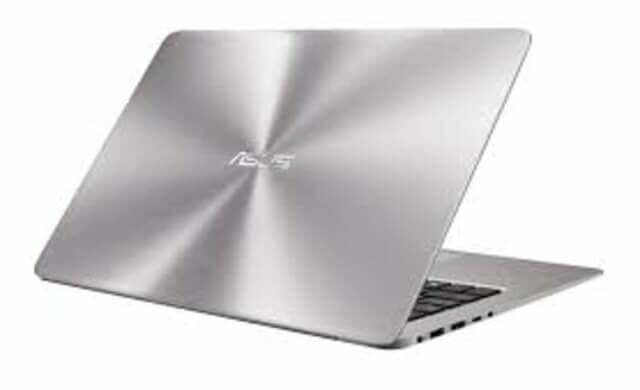 Asus is known for making quality, reliable laptops and the Zenbook UX410 is a fine example. With a slim aluminium frame, it feels like a premium model. Plus, the powerful Intel i3 processor will let you breeze through your daily work – and you can even boot up in nine seconds. This Zenbook is really nice to use for general office duties and the keyboard and touchpad respond well. It also has some nice touches like a backlit keyboard (great for evening work) and webcam – all designed to make your business life easier. There’s also an HDMI societ, so you can hook this laptop right up to your TV. The battery life will get you around five or six hours playtime. It’s not the best on the market, but perfectly acceptable for this price and if you’ll mostly be keeping your laptop in your work space or on the odd travel, that should do you just fine. The Full HD screen has a high pixel resolution for a budget laptop (1920 x 1080). Even if you don’t edit videos all day, your eyes will thank you for crisper text and bolder images after a few hours. The sound on the Asus Zenbook UX410UA is so-so. It’s perfect for business use, but less good for entertainment – just don’t expect too much bass on such a slim build. If you fancy the feel of a premium laptop at a guilt-free price, the Asus Zenbook UX410 will be right up your street. It’s perfect for most daily business tasks and the quality screen and speedy processor make it really nice to use too.